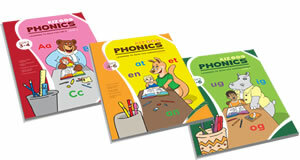 Phonics Books: Preschool, Kindergarten, First & Second Phonics Books, Teach Your Child to Learn to Read. Buy our books and get a FREE membership! Prices below do not apply to large orders! For Bulk Order, Contact Us for Discounts! 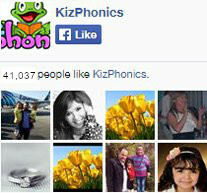 Kiz Phonics Learning to Read Program for Children - Course Books. 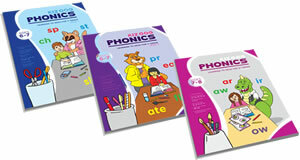 Here are our Phonics Book Sets, which you can choose from. 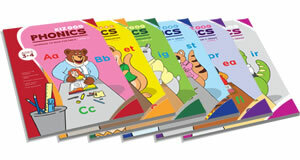 They are suitable for school teachers and home-school parents. If you want a larger order for a school, contact us for discounts. 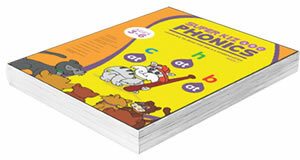 167 pages of carefully crafted phonics activities - For PreK & Kindergarten or Absolute Reading Beginners. Learning to read starts here. Shipping is FREE with 1 year FREE membership. First two sets combined. You will get all 6 books & Audio CDs. This book contains 3 books in one. It has all the contents of the Preschool book and 2 Kindergarten Level books. Suitable for those who want an easy to handle book, instead of buying three books. This book contains 3 books in one. It has all the contents of the 2 First Grade Books and 1 Second Grade Level 1 Book. Suitable for those who want an easy to handle book, instead of buying three books. 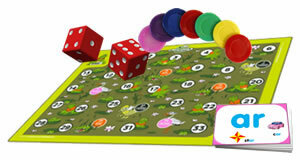 Order Board Game, Playing Card Sets - ORDER NOW! 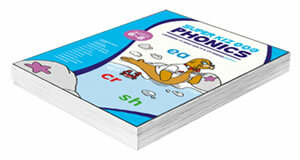 We provide our phonics board game which works for all kinds of learning. This game is played with cards. You will get the board game choose the playing card sets you need.